There is such a plethora of things to do, sights to see, and foods to try here in Seattle, Washington that we could spend years writing about it all. Take museums, for example. You will find at least 40 to choose from! One notable museum is the Seattle Art Museum. 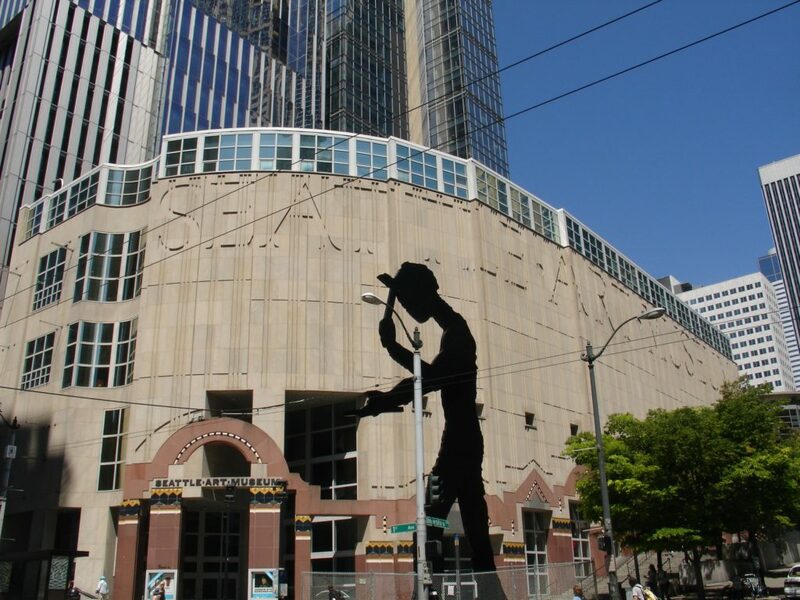 This large and light-filled museum in the heart of downtown Seattle is conveniently located less than 15 minutes from our lovely Shafer Baillie Mansion bed and breakfast, which offers the perfect Seattle lodging for your getaway. Emblems of Encounter: Europe & Africa Over 500 Years – Ten works of European and African art dating from the end of the 15th century to the end of the 20th that reflects the interaction of the two continents. Pure Amusements: Wealth, Leisure, and Culture in Late Imperial China – Prints, sculpture, furnishings, ceramics, etc. focused on objects created for the intentional practice of leisure from the late Ming dynasty onward. Echo – A large sculpture named for the mountain nymph of Greek mythology. Remarkably, the artist, Plensa, created this monumental sculpture with her eyes closed. The Seattle Art Museum also hosts special exhibitions on a regular basis, giving everyone something new to view every visit! Starting October 19, 2018, the Museum will be hosting a not-to-be-missed installation entitled, Peacock in the Desert: The Royal Arts of Jodhpur, India that will run until January 21, 2019. This exhibit will host an array of resplendent art from the royal palaces of India, including paintings, beautiful jewels, armor and weaponry, carpets, carved furniture, and much more! Click here to find out more about the Seattle Art Museum and to purchase your tickets online. Whether you’re looking for a quick weekend getaway or a longer stay, be sure to book now or contact us to help plan your perfect Seattle getaway. We look forward to making your stay an enjoyable and memorable one! This entry was posted in Arts & Culture and tagged art museum by admin. Bookmark the permalink.